ISLAMABAD: In a fresh trouble for Pakistan’s ousted prime minister Nawaz Sharif, the National Accountability Bureau (NAB) on Sunday launched another inquiry against him on a journalist’s complaint that over Rs56 million was sent out of the country by his family between 1988 and 1991, a media report said. The development assumes significance as Sharif, his sons Hussain and Hassan, daughter Maryam, and son-in-law former army captain Muhammad Safdar are already facing three corruption charges for money laundering and illegal offshore holdings in the Panama Papers scandal. Sharif, 68, is currently in London along with Maryam to see his ailing wife, Kulsoom Nawaz, despite the anti-graft body’s request to put their names on the Exit Control List (ECL) fearing they may not return to face corruption cases in court. The fresh inquiry over money laundering allegations was launched by the NAB on the complaint of a local journalist. The complainant has provided details that how Sharif and his family members allegedly sent money to foreign countries illegally, the report said. Hawala dealers from Peshawar Khaista Khan and Jamshed Khan were engaged by the Sharif family to syphon-off large amounts of funds through their bank accounts, according to the complaint. It said the Sharif family illegally sent funds converted into foreign currencies abroad regularly. The complaint said Khalid Siraj, a first cousin and business partner of Sharif, had disclosed in a statement recorded before the Federal Investigation Agency in the Panama Papers case, the Sharif family’s misdeeds, including the transfer of funds aboard and purchase of assets in foreign countries. “Between 1988 and 1991, Rs56.896 million was sent out of the country,” the complaint said. 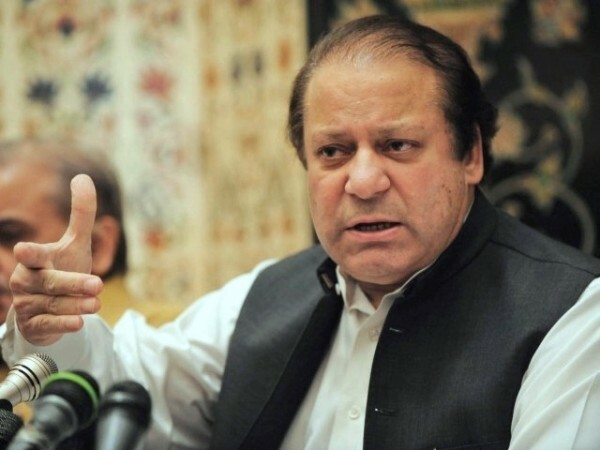 The NAB was informed that in 1988, US$758,000 was remitted from the Bank of Oman in Sharjah to the bank’s Lahore branch and then this money was converted into Foreign Exchange Bearer Certificates worth Rs145.06 million and was distributed among close relatives of Sharif and partners of his family members, the report said. According to another allegation in the complaint, the Ramzan Sugar Mill owned by the Sharif family obtained US $30 million from Faysal Bank in 1990 during Sharif’s first tenure as prime minister and by misusing his official power. The Supreme Court had disqualified Sharif last year. He, however, has dismissed as “politically motivated” the corruption charges linked to the Panama Papers case. The trial is in final stage as the Supreme Court has directed the trial court to conclude the case by July 10.